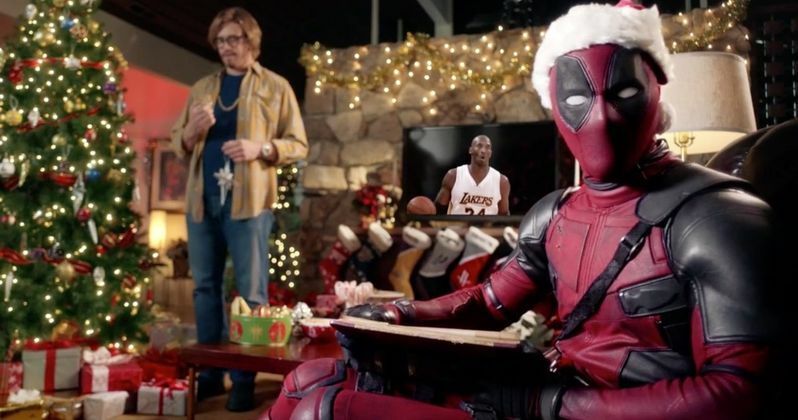 The Deadpool Before Christmas sounds like it is bringing all the gifts. IIt recently came to light that Fox is going to do a PG-13 re-release of Deadpool 2 this Christmas in theaters and it's starting to sound more and more like a good idea, despite how it may seem on the surface. Deadpool 2 is a very hard R and the studio is clearly hoping to get some box office dollars from those younger fans who couldn't see the previous cut in theaters. But those worried that this cut will rob the movie of its charm and spirit can probably relax, as some new, very encouraging details have emerged. According to a new report, The Deadpool Before Christmas will contain 15 minutes of new footage and will introduce a new character who wasn't featured in the original, theatrical cut. Fox apparently intends to release this new cut internationally and recently revealed some of this information to theater chains so that they know what to expect. As for what this new footage will entail and who this new character will be? That's likely already been revealed by Ryan Reynolds. The man behind Wade Wilson made a post to his Twitter account shortly after this news broke featuring Deadpool hanging out with Fred Savage in a situation not at all dissimilar to The Princess Bride. It would appear that Savage is going to reprise his role from that classic and that some new wraparounds with the actor and Deadpool will be filmed to fill in the gaps where R-rated content has been cut out. It's also possible that the studio could film an additional scene or two, but it would seem that this is where most of the new footage and that new character are going to come from. One could accuse Fox of doing something like this as a cash grab. And in some ways it is. But it's clear that they're actually going out of their way to keep this PG-13 version of Deadpool 2 as on-brand as possible. Outside of giving some fans a chance to see it who maybe didn't have the chance to do so before, this may even be enough to justify another go-around for adult fans who just want to see what this new footage entails. Imagine watching the Merc With a Mouth not curse for two hours. What's that going to look like? Deadpool 2 has already made $734 million at the box office and Fox shifted Alita: Battle Angel from its December 21 release date a couple of weeks back. So why not put out a Christmas-themed, kid-friendly version of Deadpool to try and rake in some more cash? At this point, it sounds like everyone is going to win. Hopefully, the studio will release a trailer of some sort sooner rather than later so we get an even better idea of what to expect. This news was previously reported by MCU Cosmic.